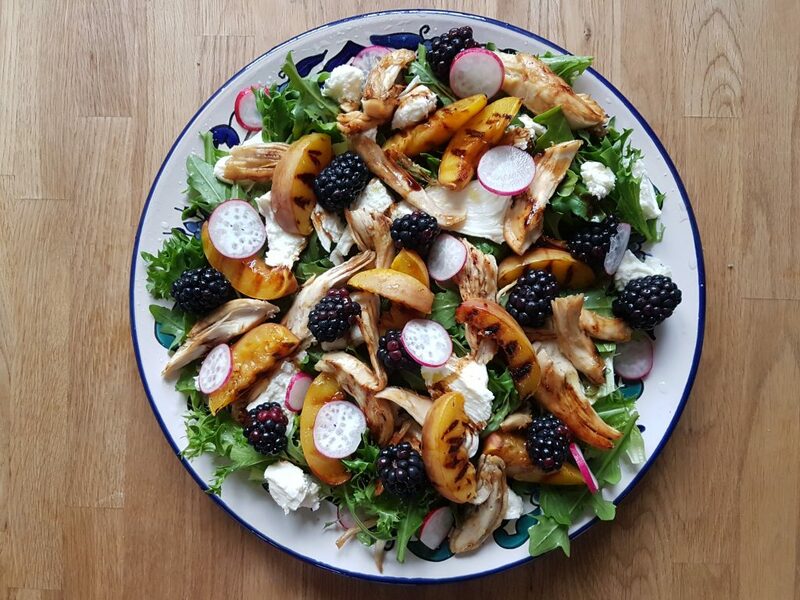 A seasonal, naturally gluten free salad that champions two of my favourite early autumn fruits, nectarines and blackberries. Fruit is wonderful in salads and we came across lots of great examples on our recent trip to the USA and Canada. 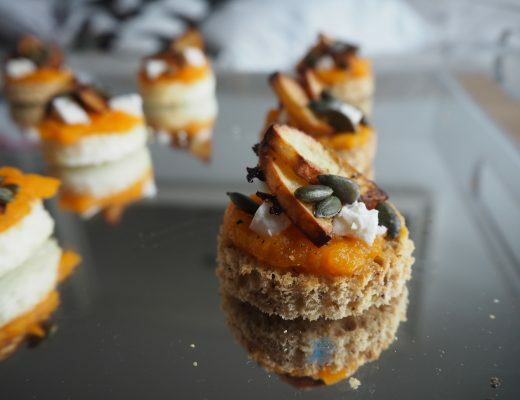 When we got back I knew I had to try making my own fruity savoury salad at home. 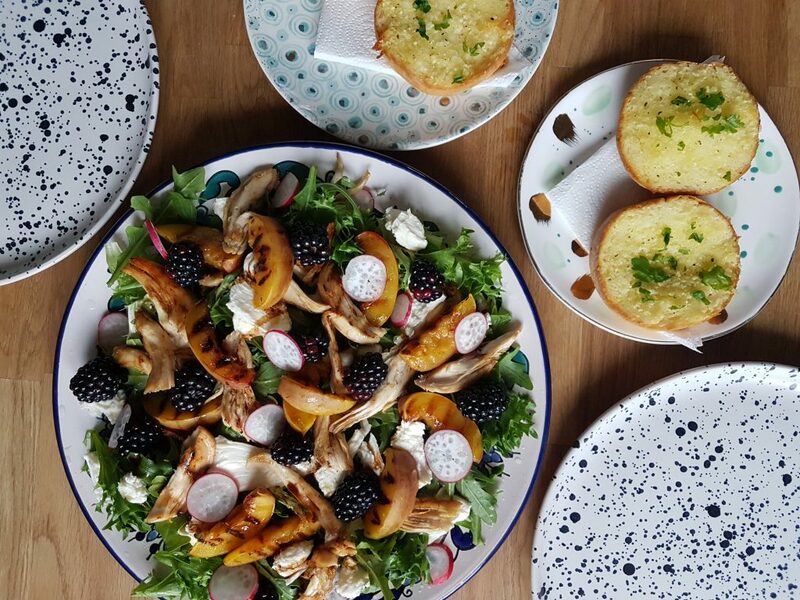 In this gluten free salad the sweet nectarine and tart blackberry pair perfectly with a zingy lemon and balsamic dressing, nestled alongside soft mozzarella and fresh roast chicken. It’s a great salad for using leftover roast chicken, but works equally well without. Whip this up for lunch with some gluten free garlic bread on the side or omit the chicken and serve alongside your favourite roast meat for a lighter alternative to the classic roast trimmings. Wash and then slice the nectarines in half, carefully removing the stone from each. 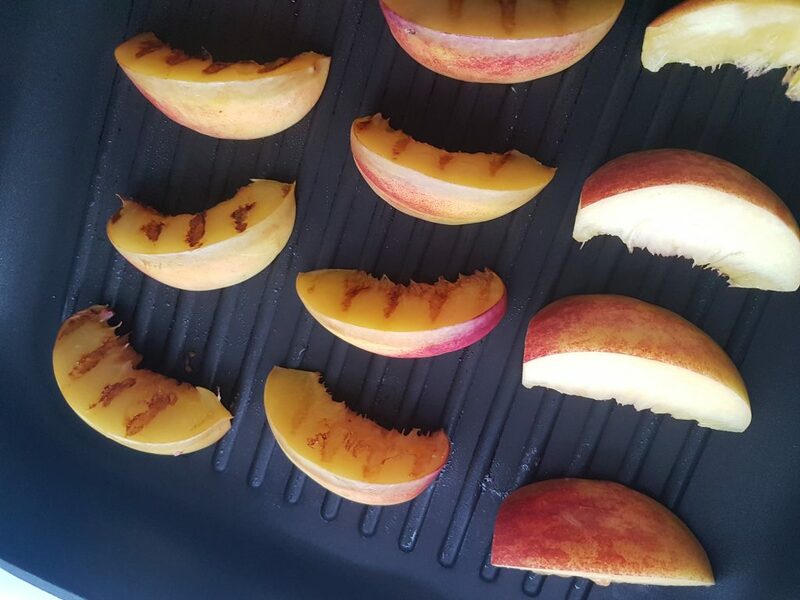 Then chop each into segments, 8-10 per nectarine depending on the size of the fruit. 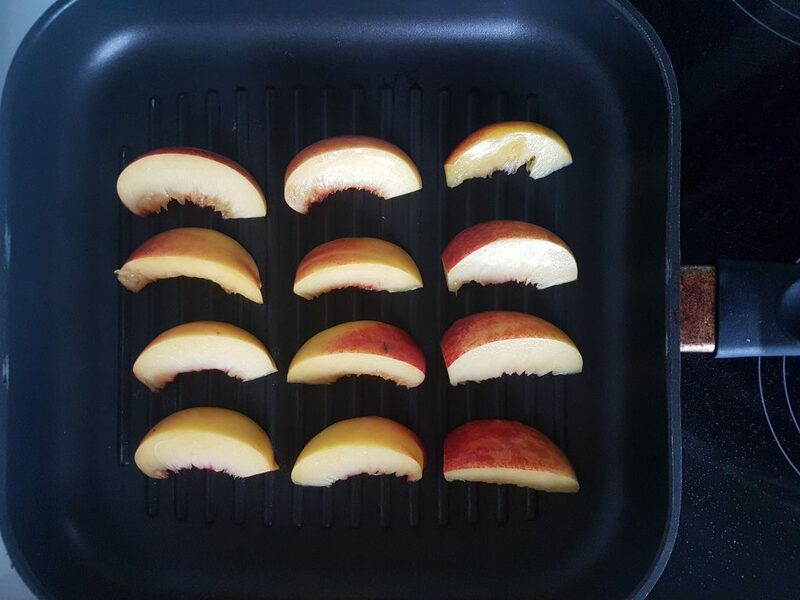 Heat a griddle pan and then place the nectarine segments into the pan and allow them to cook on each side for 5 minutes over a medium heat. Try not to move them around while cooking as they might fall apart slightly. 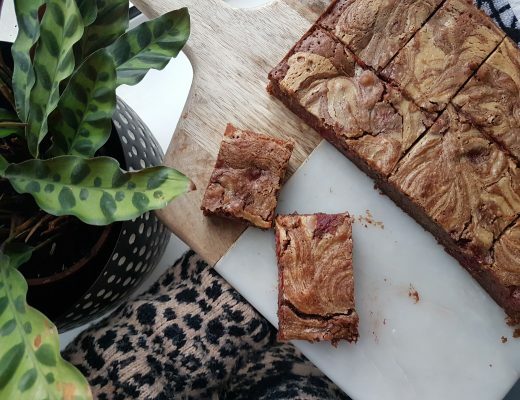 Once cooked, set them aside to cool. Wash the blackberries and set them aside to drain. Also wash the radishes, lettuce and rocket while you are at it! Top and tail the radishes and slice them finely into rounds. Drain the mozzarella ball and then tear into strips with your hands. You can now assemble the salad on a large plate. First the lettuce leaves and rocket. Then evenly distribute the mozzarella, nectarine slices, blackberries and radishes on top. To make the dressing, combine the lemon juice, balsamic and olive oil in a bowl with some salt and black pepper. Then drizzle all over the salad and voila! 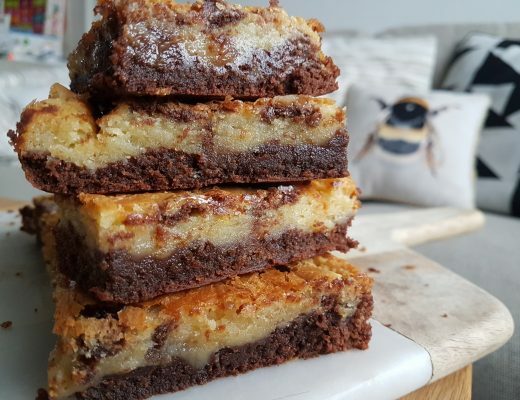 Eat straight away or cover with cling film until you are ready to serve.